We check over 450 stores daily and we last saw this product for $820 at Barneys Warehouse. 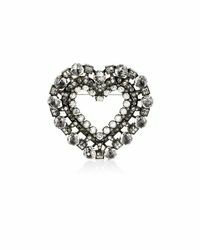 Lanvin's cutout heart-shaped brooch is crafted in France of antiqued silvertone mixed metal and punctuated with shimmering grey and white crystals. 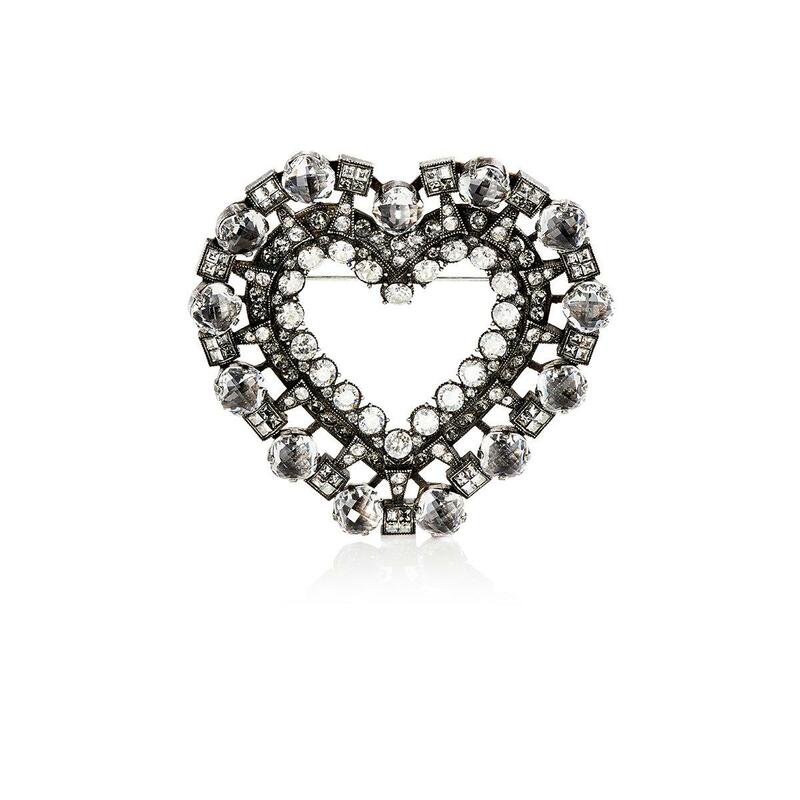 The oversized heart can also be worn as an embellishment on a black elastic belt. Includes black elastic belt with snap tab closure. Black elastic belt: Elastane, viscose. Grey and white glass crystals. Antiqued silvertone brass-tin alloy. 2.75" brooch length x 2.50" brooch width; belt: 2.00" width (approximately). C-clasp. Made in France.